This artwork was created as a collaboration element for a larger work being assembled by artist John Merigian, titled: "6 In 9 X 9 X 9," for inclusion in the University of Michigan Alumni Show "9 X 9 X 9 Size Matters" through July 21, 2012. To our delight, we won an award with a cash prize! 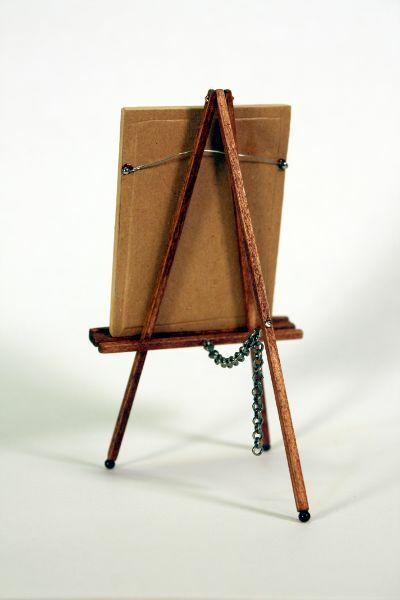 The piece itself in the frame is 2-3/8 inches high standing on aneasel about 4-1/2 inches high. 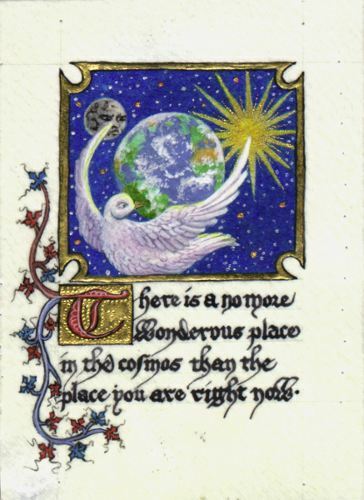 It says: "There is a no more wondrous place in the cosmos than the place you are right now. The painting is modern(ish) but is made just like a medieval page. 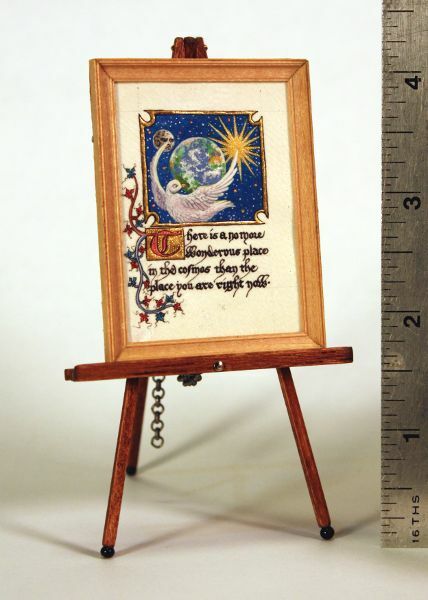 It is written with oak gall ink with a goose quill on goat skin parchment. The pigments are all bound in gum arabic and include lapis lazuli, fine ground azurite, coarse azurite, fine malachite, vermilion, red and white lead, sap green, buckthorn yellow, hematite, woad, indigo, lamp blac, genuine gold and yellow ochre. The genuine gold leaf is tooled. The page was pricked along the edges for aligning the ruling lines.